We just heard about Jesus and two people who wanted to meet Him. One of them, probably a wealthy man and respected in the local community and the other person is a woman who lived on the margins of society. What unites them, however, is the fact that they both wanted to see Jesus and they wanted to spend time with Him. However, from the conversation that took place at that scene we can see that the two characters had different motives and reasons for being with Jesus. The respected man invited Jesus because he saw in Him an important community leader or a religious leader - he saw Jesus as prophet - a person with significant influence who could bring even more recognition to him and his family. The woman, who came to anoint Jesus, for her part, saw in Jesus God, someone who is capable to forgive sins and someone who could help her change her life. This Gospel reading helps to remind us of how we see Jesus in our life. Today being a practicing Catholic is not an easy task. 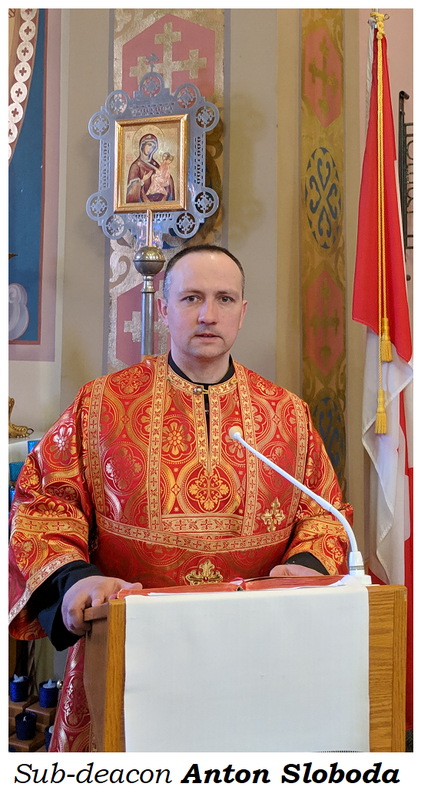 In Canada, as well in Ukraine and other countries, it is not as socially a disadvantage to be Catholic as in some other places. As you know, as we have seen in recent news reports, in many countries of Asia, Africa and in most countries in the Middle East, by publicly proclaiming your Catholic faith you put your social status and even your very life in big trouble. In our social context, being Catholic may still be considered a convenient thing. For example, we can worship God in nice churches like this one, not in catacombs; we can send our children or grandchildren to Catholic schools, we can openly practice our beautiful traditions during Christmas and Easter holidays; we can organize for our family and friends nice social events when a new member of our family is born and is baptized, or gets married or dies and has a funeral etc. All of these things have Christian meaning but to receive Christ in our life is more than just inviting him to our social events. To have a truly life changing relationship with Jesus we need to accept Jesus as God, we need to develop our personal relations with him. Let us use the remaining several weeks of Lent before Easter comes to examine our conscience, to ask Christ for forgiveness for our sins and let us accept Him as someone who is totally in charge of our existence.